Abstract: Convergence of information (IT), operational (OT) and consumer technologies (CT) will create significant business opportunities. However convergence of these technology domains will also create multifaceted security challenges as complexity increases and vulnerabilities proliferate. So how can businesses effectively identify and manage security risks across all these technology domains to not only protect business value, but also to create it? 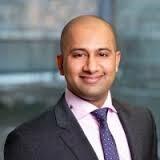 Bio: Saj is a Partner in PwC Canada’s Cybersecurity & Privacy practice. He has international experience working with organizations in North America, Australia, Asia and Europe helping them from strategy through execution on their cybersecurity program and responding to breaches. He has led numerous consulting engagements to define and execute on business aligned, risk intelligent and sustainable strategies for achieving cyber resilience. He enjoys teaming up and working collaboratively with his client’s executive stakeholders and their team to transform their security, enterprise risk and technology functions to become more integrated and resilient in the digital age. He is a frequent speaker at industry events and conferences, and is regularly sought after by clients for presenting complex cyber security concepts in ‘plain language’ to client executives, boards and audit committees. His core area of specialization include: executive awareness, cybersecurity strategy, cyber threat modelling & intelligence, cyber risk reporting and analytics, security architecture, M&A security, identity & access management, security operations and analytics, cloud and outsourcing risk and cyber crisis management. He holds a Bachelor of Engineering from University of Sydney, Australia and holds several cybersecurity related professional accreditations. Abstract: In the first part of this talk, we study the asymptotic convergence properties of the associated saddle-point dynamics for continuously differentiable functions of two vector variables that have (possibly a continuum of) min-max saddle points. We identify a suite of complementary conditions under which the set of saddle points is asymptotically stable under the saddle-point dynamics. In the second part of the talk, we demonstrate the implications of these convergence result in designing continuous-time distributed convex optimization algorithm. We demonstrate how such a continuous-time dynamical system can be formulated as a distributed control system, where the control input to the dynamics of each agent relies on an observer that estimates the average state. Using this observation, and by incorporating a continuous-time version of the so-called push-sum algorithm, we relax the graph theoretic conditions under which the first component of the trajectories of this modified class of saddle-point dynamical systems for distributed optimization are asymptotically convergent to the set of optimizers. In particular, we prove that strong connectivity is sufficient under this modified dynamics, relaxing the known weight-balanced assumption. As a by product, we also show that the saddle-point distributed optimization dynamics can be extended to time-varying weight-balanced graphs which satisfy a persistency condition on the min-cut of the sequence of Laplacian matrices. Bio: Bahman Gharesifard is an Assistant Professor with the Department of Mathematics and Statistics, Queen’s University, Canada. Prior to joining Queen’s, he was a Postdoctoral Research Associate with the Coordinated Science Laboratory (CSL) at the University of Illinois, Urbana-Champaign (2012-2013) and Postdoctoral Researcher at the Cymer Center for Controls and Dynamics at the University of California in San Diego (2009-2012). He held a visiting faculty position at the Institute for Systems Theory and Automatic Control at the University of Stuttgart in summer of 2016. He received a PhD degree in Mathematics from Queen’s University, Canada, in 2009. His research interests include systems and controls, distributed optimization, social and economic networks, game theory, geometric control and mechanics, and Riemannian geometry. and the Cisco Chair in Smart Grid (2012-17). An awardee of the Director’s Gold Medal from IIT Delhi, the Sakrison Prize from UC Berkeley, two Test of Time awards from ACM SIGCOMM, and Best Paper awards at both ACM SIGCOMM and ACM MOBICOM, he is the co-director of the Information Systems and Science for Energy Laboratory, author of two graduate textbooks on computer networking, an Alfred P. Sloan Fellow, an ACM Fellow, and currently Chair of ACM SIGCOMM. Abstract: Recent technological advances in the areas of solar photovoltaics, Lithium-Ion-based energy storage, light emitting diodes, and the Internet of Things will substantially change the energy, electrical grid, building, and transportation sectors. Some experts estimate that these will result in economic activity of about $30 Trillion over the next two decades. In this talk, I will touch upon the recent advances in these technical areas and speculate on their economic impacts. I will also present some recent results from my research group that attempt to address these changes. 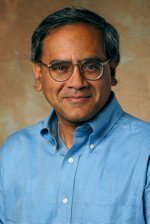 Bio: Professor S. Keshav received a B.Tech in Computer Science and Engineering from IIT Delhi in 1986 and a Ph.D. in Computer Science from the University of California, Berkeley in 1991. He was subsequently a researcher at AT&T Bell Laboratories and, from 1996 to 1999, an Associate Professor at Cornell University. In 1999 he left academia to co-found Ensim Corporation and GreenBorder Technologies Inc. He was an Associate Professor at the University of Waterloo from 2003 to 2008 and has been a Professor since, holding a Canada Research Chair (2004-14) and the Cisco Chair in Smart Grid (2012-17). An awardee of the Director’s Gold Medal from IIT Delhi, the Sakrison Prize from UC Berkeley, two Test of Time awards from ACM SIGCOMM, and Best Paper awards at both ACM SIGCOMM and ACM MOBICOM, he is the co-director of the Information Systems and Science for Energy Laboratory, author of two graduate textbooks on computer networking, an Alfred P. Sloan Fellow, an ACM Fellow, and currently Chair of ACM SIGCOMM. Abstract: Demand response (DR) is a recent effort to improve the efficiency of the electricity market and the stability of the power system. A successful implementation relies on both appropriate policy design and enabling technology. This paper presents a multiagent system to evaluate optimal residential DR implementation in a distribution network, in which the main stakeholders are modeled by heterogeneous home agents (HAs) and a retailer agent (RA). The HA is able to predict and control electricity load demand. A real-time price prediction model is developed for the HA and the RA. The optimal control of electricity consumption is formulated into a convex programming problem to minimize electricity payment and waiting time under real-time pricing. Simulation results show that the peak-to-average power ratio and electricity payments are significantly reduced using the proposed algorithms. The HA, with the proposed optimal control algorithms, can be embedded into a home energy management system to make intelligent decisions on behalf of homeowners responding to DR policies. 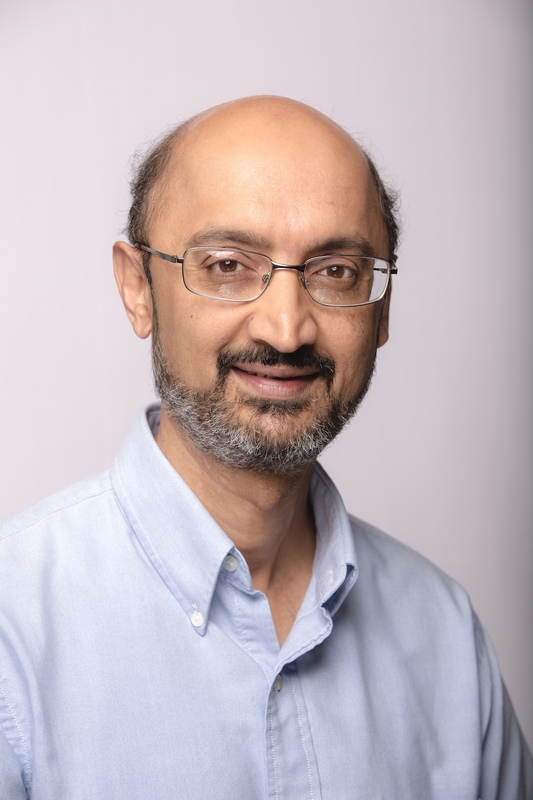 The proposed agent system can be utilized to evaluate various strategies and emerging technologies that enable the implementation of DR.
Bio: Dr. Paranjape’s research interests are in both physical systems and software systems. Research in physical systems has focused on the development of sensor systems and new technologies in image and signal processing for real world applications in robotics and automated systems. Within the area of sensor technologies research applications include sensor packs for robotics in charged water pipe inspection, and flying robots (UAVs) using both vision and inertial sensor arrays. 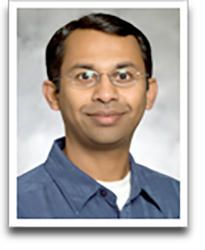 Dr. Paranjape also has a strong research program in mobile and software agent systems in Simulation and Modeling. There are two main areas in this work: Analysis and Retrieval of Medical Data and Modeling of Power Systems and Smart Grids. Dr. Paranjape has worked as a Research Scientist, Software Engineer, Project Leader, and Project Manager in Canadian Industry. He is currently a Professor of Electronic Systems Engineering at the University of Regina. He has published over 50 reviewed journal articles and book chapters, 80 conference papers and has numerous grants and research projects. – New adaptive control techniques for uncertain systems with nonlinearities. The seminar will then discuss the current research on adaptive control for mitigating actuator attacks. Bio: Mohammad Al Janaideh received the MASc. and Ph.D. degrees in mechanical engineering in the area of controls and mechatronics from Concordia University, Montreal, Canada, in 2005 and 2010, respectively. Between 2010 and 2012, he was an Assistant Professor in the Department of Mechatronics Engineering at the University of Jordan, Amman, Jordan. In 2012, he was a visiting scientist in the Center for Complex Automated Systems in the Department of Electrical Engineering at the University of Bologna, Bologna, Italy and the Institute of Mathematics at the Academy of Sciences of the Czech, Prague, Czech Republic. In 2013, he joined the Department of Aerospace Engineering, the University of Michigan, Ann Arbor as a postdoctoral fellow. In 2016, he joined the department of electrical and computer engineering at the University of Toronto as a post-doctoral fellow. He has more than 60 publications in the area of controls and mechatronics. His research interests include control of smart micro-positioning systems, adaptive control for uncertain motion systems with high nonlinearities, and hybrid control theory for nonlinear systems. Abstract: This talk is motivated by the fact that Cyber-physical systems (CPSs) are safety critical which makes identification and prevention of smart data-injection attacks on their control unit of significant practical importance. Recently there has been a surge of interest in practical and opportunistic applications of CPSs including: (i) State prediction for analyzing contingencies and taking preventive actions against possible failures in smart power grids; (ii) Optimizing the reliability of CPSs using decentralized sensor resource management techniques, and; (iii) Surveillance applications for following a reference target in decentralized camera networks. This talk will focus on secure signal processing solutions for attack detection and isolation in this context. In particular, I present different forms of attack models on the control and processing modules in CPSs and introduce a novel detection methodology by transforming the attack detection problem into the problem of comparing statistical distance measures. Then, attack and anomaly detection using graph-based signal processing solutions will be discussed. Finally, I present a secure attack isolation fusion framework obtained by using ideas form interactive multiple models (IMM) in combination with a fuzzy-based attack detection/isolation mechanism. 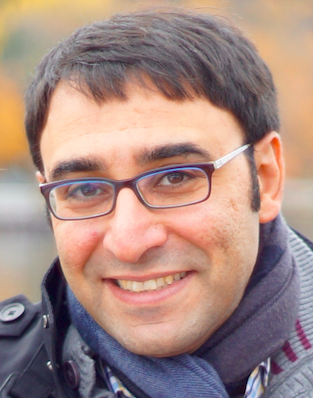 Bio: Arash Mohammadi (S’08-M’13) received B.Sc. degree from University of Tehran in 2005, the M.Sc. degree in from Amirkabir University of Technology (Tehran Polytechnic) in 2007, and Ph.D. from York University in 2013. 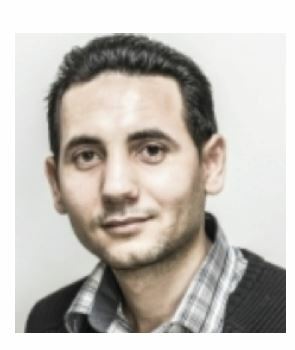 He is currently an Assistant Professor with Concordia Institute for Information Systems Engineering (CIISE), Concordia University, Montreal, Canada. Prior to joining Concordia University, he was a Postdoctoral Fellow at Department of Electrical and Computer Engineering, University of Toronto, Canada. He is the Vice-Chair of IEEE Signal Processing Montreal Chapter. He serves as the leading Guest Editor in IEEE TRANSACTIONS ON SIGNAL AND INFORMATION PROCESSING OVER NETWORKS on “Distributed Signal Processing for Security and Privacy in Networked Cyber-Physical Systems”. He was the Organizing Committee chair of “IEEE Signal Processing Society Winter School on Distributed Signal Processing for Secure Cyber-Physical Systems”. 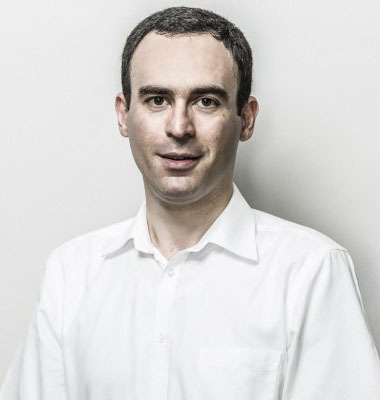 His research interests include: cyber- physical systems; information fusion; distributed signal processing for agent networks; secure networked control systems; consensus algorithms, large-scale dynamical systems, and; smart grids. He has authored about 50 technical contributions, including invited ones, published in international journals and conference proceedings of high caliber. 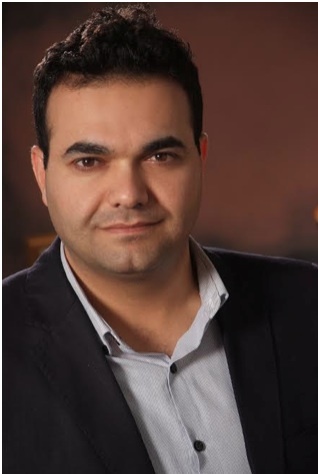 Dr. Mohammadi has received several distinguishing awards, including the Eshrat Arjomandi Award for outstanding Ph.D. dissertation from Electrical Engineering and Computer Science Department of York University in 2013, and one of the best student paper awards from IEEE International Conference on Information Fusion (FUSION’12). Abstract: Canada has one of largest renewable energy capacities in the world with 11% of Canada’s total primary energy production generated by renewable energy sources. The Canadian Wind Energy Association (CanWEA) is targeting by 2025 that wind power will be able to supply 20% of the nation’s electricity demand. Typically wind farms have a medium voltage AC (MVAC) grid that collects the power from the individual wind turbines and one or two transformer substations that facilitate high voltage AC (HVAC) power transmission. Since the output voltage of a wind turbine is too low for effective power transmission, it is boosted to a medium voltage (MV) level through individual transformers to facilitate short distance power transmission to a local transformer substation for further processing. However, the step-up transformers are bulky; heavy, and typically located in the immediate vicinity of the wind turbines. In a bid to eliminate the need of the bulky AC transformers and to move towards DC power transmission, researchers are gravitating towards the idea of replacing the MVAC grid with a MVDC grid, so that the MV step-up transformers can be replaced by MV DC/DC step-up power electronic converters. An added benefit of using DC/DC power converters in lieu of the transformers is that the wind farm power transmission architecture will shift from AC power transmission towards DC power transmission. Compared to HVAC, high voltage DC (HVDC) is more cost effective and results in lower long distance transmission losses. This seminar will first provide an insight into the current and emerging power transmission architectures for wind systems. In particular, the challenges and design requirements in the step-up DC/DC power conversion stage used in the DC power architecture in wind energy systems will be discussed. The seminar will then discuss research conducted at York University on the development of high frequency step-up power electronic converters for DC grid distribution in wind systems. In particular, a unique class of modular DC/DC and AC/DC step-up power converters by combining resonant power conversion with soft-switching techniques and high-gain high frequency rectifier modules will be introduced and discussed. Simulation and experimental works will be presented to validate all the power converter concepts discussed in this seminar. Bio: John Lam received his Masters and Ph.D. degrees in electrical engineering from Queen’s University in 2006 and 2010, respectively. 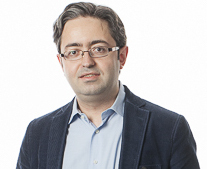 He is currently an Assistant Professor and the Principal Investigator at the Advanced Power Electronics Laboratory for Sustainable Energy Research at York University. He is the author of more than 40 IEEE journal and conference papers, and is a holder of 5 patents. His research interests include high frequency power converters with soft-switching techniques, renewable energy applications and advanced control techniques for high frequency converters. He served as a technical session chair at the 2015 IEEE Energy Conversion Congress and Exposition (ECCE 15). He is an IEEE senior member, and is a member of the IEEE Power Electronics Society, the IEEE Industrial Electronics Society and the IEEE Industry Applications Society. Abstract: The proliferation of distributed energy resources is setting the stage for modern distribution systems to operate as microgrids. Microgrids can avoid power disruptions and serve as resources for fast recovery during macrogrid disturbances, and are, therefore, major assets to improve the grid resilience. However, the offered resilience is seriously undermined if microgrids are not properly protected in the event of faults within their own boundaries. The interface of a local generation unit in a microgrid usually involves a power electronic converter, which governs the unit’s transient performance, including its response to short-circuit faults. The fault behavior of a converter is highly affected by its control system and carries unique signatures, among which a limited fault current is notable. Therefore, the short-circuit capacity of a microgrid that is islanded from the macrogrid is typically insignificant. Conversely, the utility substation of a macrogrid-connected microgrid can have substantial fault current contribution. The variable and potentially limited fault current levels of microgrids make the existing protective devices for distribution systems—which are designed and coordinated based on the current magnitude—fail to reliably protect microgrids. The first part of this talk will: (i) review the challenges posed by microgrids for distribution protection systems, (ii) present an overview of the research on microgrid protection in the last few years, and (iii) discuss why protection research has not led to a commercially available relay for microgrids to date. Given the unsatisfactory performance of distribution protective devices for microgrids and the absence of a commercial microgrid relay, the available solutions for microgrid protection involve more sophisticated relays that are installed in transmission systems. The second part of this talk will review the performance of such relays for microgrids. Besides AC microgrids, higher efficiency for certain types of loads and generation units has led to rising interest in DC microgrids. One of the main impediments to realization of DC grids arises from the DC fault behavior of power electronic converters. The last part of this talk will elaborate on such challenges and the expected specifications of a DC microgrid relay. Bio: Ali Hooshyar received the Ph.D. degree in electrical engineering from the University of Waterloo, ON, Canada in 2014. As a Postdoctoral Fellow at the University of Toronto’s Center for Applied Power Electronics (CAPE), he investigated protection of microgrids with renewable energy sources. Currently, he is an Assistant Professor at the Electrical Engineering and Computer Science Department of York University, Toronto, ON. His research interests include protection and control of renewable energy systems and smart grids. Abstract: Machine drive systems using multi-converter modules have become popular in recent years for specific applications such as medium voltage drives; wind power generators; utility rectifiers; high frequency drive systems; electric vehicles: other popular applications include STATCOMS, photovoltaics and HVDC. The utilization of multi-converter systems can reduce the size and weight of capacitor-inductor filters, lower voltage harmonics, lower losses in magnetic systems such as ac filters and machines, lower noise interference, common mode stresses and load interaction issues. This talk describes the application of two broad technologies that can be used in low voltage drive systems for specific advantages: (a) converters using floating dc capacitors (Multi-Module Converters – MMCs), and (b) converters connected together using magnetically coupled inductors (Coupled Inductor Inverters – CIIs). MMCs can be applied in low voltage systems with benefits arising from the fact that they do not need isolating transformers to supply power. Modules can be designed with identical electrical stresses and to provide high quality multi-level ac and dc voltages using low switching frequencies. CIIs can be used in parallel connected modules to produce multi-level PWM voltage waveforms with a PWM frequency higher than the device switching frequency, hence used to reduce the size of ac filters, lower the losses in filter inductors and high speed machines such as induction and IPM machines. This talk will describe research conducted at the University of Alberta with the general theme of increasing the economic feasibility of multi-level converter systems in low voltage drive systems such as: high speed machine drives; electric vehicle drive systems; high speed flywheel energy storage systems; utility grid interface of electric drives. Bio: John Salmon (S’86–M’86) received the B.Sc.Eng. degree from Imperial College London, London, U.K., in 1982, the M.Eng. degree from McGill University, Montreal, QC, Canada, in 1984, and the Ph.D. degree from Imperial College London in 1987. In 1987, he became an Assistant Professor in the Department of Electrical Engineering, University of Alberta, Edmonton, AB, Canada, where he has been a Full Professor since 1996. He has conducted industrially funded power- electronics research projects covering a wide range of applications, such as electronic ballasts for fluorescent lamps and metal-halide high-intensity discharge lamps, utility interface of microturbine generators using high-speed permanent magnet generators, medium-voltage industrial drive systems, and soft starters for medium- voltage induction motors. His current research interests include industrial drive systems and their utility interface, multi-pulse utility rectifiers, multilevel voltage-source converters, high-speed ac drive systems, coupled inductor inverters, floating bridge power electronics for motor control applications, battery voltage balancing networks, and multifunctional pulsewidth-modulated converters. Dr. Salmon is a recipient of 2 prize paper awards from the IEEE Industry Applications Society: first prize from the Industrial Drives Committee in 2008 and first prize from the Industrial Power Converter Committee in 2009. Abstract: Integrating renewable energy into the grid system is considered to be a vital solution to reduce energy cost and to maintain a sustainable society and economy. However, renewable energy is less reliable for grid-wide operation and as a local energy source for residential consumers. Energy storage and flexible loads can eﬀectively shift energy and demand across time; they are two promising management solutions to mitigate the randomness of renewable generation and to further reduce electricity cost. As renewable penetration into the power supply increases, the renewable generation with storage solutions at residential homes will become increasingly popular. In this talk, we will focus on the residential-side energy storage management and load scheduling solutions. We first consider energy storage management for a fixed load supply, and present a real- time energy storage control solution for storage and electricity cost minimization. Diﬀerent from existing methods, we take a finite time horizon approach to save the system cost over a time period set by the consumer’s preference. Furthermore, recognizing the complex and unpredictable system inputs, we assume unknown arbitrary dynamics of renewable generation, load, and electricity pricing in formulating the problem and devising our control solution. Next, we incorporate flexible loads and consider the problem of joint energy storage management and load scheduling for system cost minimization. In particular, we model each individual load task by its requested power intensity and service durations, as well as the maximum and average delay requirements. With our proposed real-time algorithm, we show that the joint load scheduling and energy storage control can in fact be separated and sequentially determined. Furthermore, both load scheduling and energy control decisions have closed-form solutions for simple implementation. Through analysis, we show that the performance gap of our developed real-time algorithm to the non-causal optimal T-slot look-ahead solution has a bounded guarantee. Electrical and Computer Engineering with minor in Applied Mathematics from Cornell University, Ithaca, NY, in 2004. Her research interests are in the areas of signal processing techniques for communication networks, cooperative communications and networking techniques, and optimization in dynamic networks and systems. Prof. Dong received an Early Researcher Award from Ontario Ministry of Research and Innovation in 2012, an IEEE ICCC Best Paper Award in 2012, and the 2004 IEEE Signal Processing Society Best Paper Award. She is a co-author of IEEE ICASSP Best Student Paper of Signal Processing for Communications and Networking in 2016. She served as an Associate Editor for the IEEE Transactions on Signal Processing (2010-2014), and as an Associate Editor for the IEEE Signal Processing Letters (2009-2013). She was the symposium lead co-chair of the Communications and Networks to Enable the Smart Grid Symposium at the IEEE International Conference on Smart Grid Communications (SmartGridComm) in 2014. She has been an elected member of the Signal Processing for Communications and Networking (SP- COM) Technical Committee of IEEE Signal Processing Society since 2013. Abstract: Graphical models have proved to be a powerful tool for representing and reasoning with structured probability distributions – this power has been successfully leveraged in diverse applications ranging from computer vision and computational biology to error-correcting codes. In this talk, we show that several problems arising in the design, analysis and control of infrastructure networks (like the electric power grid, the natural gas pipeline network, water distribution networks or the transportation network) can be naturally posed in the language of graphical models. However, computing solutions to infrastructure network problems poses two challenges that have previously received little attention in the graphical models literature: 1) Mixed discrete/continuous variables and 2) Handling stringent constraints (maintaining voltages in the power grid or pressures in the gas pipeline at acceptable levels, for example). In the concrete setting of optimization problems in radial electricity distribution networks, we show that these challenges can be dealt with efficiently using ideas from Constraint Programming (CP). The result is a polynomial type approximation algorithm for nonlinear mixed integer programs (MINLPs) arising in electricity distribution networks. Numerical tests show that the algorithm is practical and greatly outperforms off-the-shelf global MINLP solvers. Finally, we outline directions for future work and extending our approach to other infrastructure networks and broader analysis problems like probabilistic security analysis and market design for the electric power grid. Joint work with Pascal Van Hentenryck (University of Michigan), Michael Chertkov (Los Alamos National Lab), Marc Vuffray (Los Alamos National Lab), Sidhant Misra (Los Alamos National Lab), Adam Wierman (California Institute of Technology), Navid Azizan Ruhi (California Institute of Technology) and Niangjun Chen (California Institute of Technology). 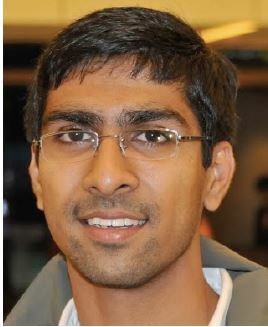 Bio: Krishnamurthy Dvijotham is currently a postdoctoral fellow at the Center for Mathematics of Information at Caltech. He will soon start as a research scientist at Pacific Northwest National Laboratory. His research interests center on leveraging tools from optimization, control and economic theory to solve problems arising in the design and operation of smart infrastructure networks (like the smart grid). 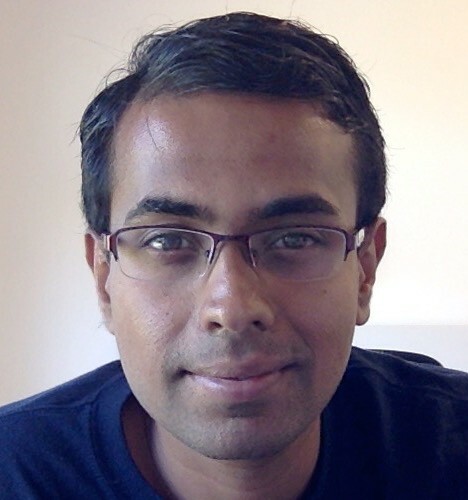 He received his PhD in Computer Science from the University of Washington, Seattle and B.Tech in the same discipline from IIT Bombay. His research has won best paper/best student paper awards at CP (2016), GREENMETRICS (2016), UAI (2014) and ECML (2008). Abstract: Critical system domains such as those found in critical infrastructures sectors, are becoming increasingly dependent on the use of distributed systems to achieve their functionality. These distributed systems contain many complex interactions among their constituent components. Despite extensive testing and verification of individual components, security vulnerabilities resulting from unintended and unforeseen component interactions (so-called implicit interactions) often remain undetected. These vulnerabilities can be exploited to mount a cyber-attack at a later time if a user can gain access to the component from which the implicit interaction originates, which can have severe consequences in terms of the safety and security of the system. It is too often the case that these kinds of implicit interactions are only made visible or known when the system experiences an attack or failure. Therefore, this notion of implicit interactions must be carefully managed in order to have systems that operate as intended, and that are resistant to cyber-attacks and failures. In this talk, I will present an approach for identifying and analyzing the existence and severity of implicit component interactions in critical distributed systems. I will show how to model distributed multi-agent systems using an algebraic framework in order to formulate, identify, and analyze the existence and severity of implicit interactions. I will also discuss how this work helps to provide a better understanding of the nature of these kinds of interactions, and how this enhanced understanding can be leveraged to develop approaches for mitigating the threat that implicit interactions pose to the safety and security of our modern systems and networks. Bio: Jason Jaskolka is a U.S. Department of Homeland Security Cybersecurity Postdoctoral Scholar at Stanford University within the Center for International Security and Cooperation (CISAC). He received his Ph.D. in Software Engineering in 2015 from McMaster University. His research aims to address increasingly critical issues in designing and implementing safe and secure systems. His current work involves the design and development of critical infrastructure cybersecurity assessment methodologies and associated modeling and simulation environments. His research interests include cyber-security assurance, covert channel analysis, distributed multi- agent systems, and algebraic approaches to software engineering. Abstract: Modern grid-scale energy storage (ES) is poised to transform the electricity system in Canada and worldwide, bringing immense benefits to industries, utilities, governments and consumers. A confluence of factors is driving this surge of interest in ES, including: (1) Advances in ES technologies and power electronic converters are resulting in eﬃcient, reliable, and ultimately cost competitive ES solutions. (2) Governments are under extreme societal pressures due to environmental concerns to get electric energy from pollution-free, non-hydro renewables such as solar and wind. Non-hydro renewables pose challenges to the normal operation of electric grids as they are intermittent, uncertain and non-schedulable. ES is a perfect solution to these challenges and enables non-hydro renewables. (3) Canadian generation, transmission and distribution assets are aging and require significant investments, conservatively estimated to cost $ 350 Billion by 2030, to ensure the continued eﬃcient, reliable and economic operation of the electricity system. ES can help defer, reduce or eliminate these costs. (4) ES is a key asset that can unlock the immense potential of next generation smart grid systems, by managing and reducing peak demand, improving performance and eﬃciency, improving reliability and power quality, and enabling intelligent energy management. This talk will illustrate R&D experiences and projects on ES that have commercial applications. Bio: Bala Venkatesh is a Professor and Academic Director at the Centre for Urban Energy, Ryerson University. He earned a PhD in Electrical Engineering from Anna University, India. His research interests are in Power Systems Analysis and Optimization. He is a registered professional engineer in the province of Ontario. He heads NSERC Energy Storage Technology Network. Abstract: Design of complex engineering systems has evolved into a multidisciplinary field of study. We develop a framework for design and planning of complex engineering systems under uncertainty using an approach of multidisciplinary design optimization under uncertainty (MDOUU). The framework has been designed to be general enough to be applicable to a large variety of complex engineering systems while it is simple to apply. MDOUU framework is a three stage planning strategy which allows the system planners to consider all aspects ranging from uncertainty in resources, technological feasibility, economics, and life cycle impacts of the system and also choose an optimal design suited to their localized conditions. Motivation behind using MDOUU lies not only in the optimization of the individual systems or disciplines but also in their interactions between each other. We present the application of the framework to the microgrid planning problem. It would help the planners handle uncertainty of renewable resources of energy and its environmental impacts in a systematic way. As such/Till now, to the best of our knowledge there is no other method available in the literature which considers planning of microgrid using such holistic and multidisciplinary framework. In summary, MDOUU framework is an elegant, simple and generic tool and oﬀers a useful solution for planning problems in a variety of complex systems. Bio: Dr. Narayan completed his PhD from the Department of Systems Design Engineering,University of Waterloo, Waterloo, ON. He did his bachelors in electrical engineering from Dayalbagh Educational Institute, Dayalbagh, Agra, India (http://www.dei.ac.in). 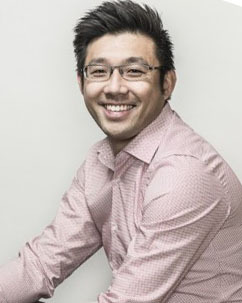 He is currently a post-doctoral fellow in the Department of Electrical and Computer Engineering at the Real Time Embedded Systems Research Group in University of Waterloo. His main research area includes Stochastic Optimization, Data Modeling, Renewable Energy Systems and Machine Learning. Abstract: Visual object detection and recognition are needed for a wide traditional image processing tasks such as image and video compression, object detection and recognition use significantly higher dimensional data, and require more computation and flexibility leading to significant energy costs. In this talk, we will describe how joint algorithm and hardware design can be used to reduce the energy consumption ofaddition to real-time and robust performance. However, compared to object detection and recognition such that its energy is comparable to that of video compression. We will discuss several energy-eﬃcient techniques that increase sparsity, reduce memory costs and data movement, and show how they can be applied to popular forms of object detection and recognition including those that use handcrafted features and deep convolutional neural nets. We will present results from recently fabricated ASICs (e.g. our deep learning accelerator called “Eyeriss”) that demonstrate these techniques in real-time computer vision systems. Bio: Vivienne Sze is an Assistant Professor at MIT in the Electrical Engineering and Computer Science Department. Her research interests include energy-aware signal processing algorithms, and low-power circuit and system design for multimedia applications. Prior to joining MIT, she was a Member of Technical Staﬀ in the R&D Center at TI, where she developed algorithms and hardware for the latest video coding standard H.265/HEVC. She is a co-editor of the book entitled “High Eﬃciency Video Coding (HEVC): Algorithms and Architectures” (Springer, 2014). Dr. Sze received the B.A.Sc. degree from the University of Toronto in 2004, and the S.M. and Ph.D. degree from MIT in 2006 and 2010, respectively. 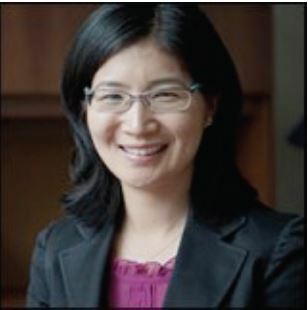 In 2011, she was awarded the Jin-Au Kong Outstanding Doctoral Thesis Prize in electrical engineering at MIT for her thesis on “Parallel Algorithms and Architectures for Low Power Video Decoding”. She is a recipient of the 2016 3M Non-tenured Faculty Award, the 2014 DARPA Young Faculty Award, the 2007 DAC/ISSCC Student Design Contest Award and a co-recipient of the 2008 A-SSCC Outstanding Design Award. Abstract: Smart distribution grid initiative is based on several pillars among which integrating a wide variety of distributed and renewable energy resources (DG) is of particular importance. However, the connection of a large number of DG units may cause severe voltage and reactive power (Volt/Var) control problems due to their interference with utility-side load tap changers, line voltage regulators, and shunt capacitors (i.e. main Volt/Var control devices in distribution grids). Further, smart grids seek to decentralize active distribution systems with high penetration of DGs into microgrids that are able to operate in grid-connected and islanded modes of operation. Volt/Var control has been also identified as one of the main challenges that might impede the successful realization of islanded microgrids. Despite these challenges, other considerations show promise. Smart grids should provide new digital technologies such as monitoring, automatic control and two-way communication facilities to improve the overall performance of the grid. These technologies would be the key component that can be utilized to mitigate the challenges of Volt/Var control in smart distribution grids. To that end, Volt/Var control challenges in smart distribution grids with consideration of islanded microgrids are discussed in this talk. Also, mitigation strategies for these challenges using smart grid technologies are introduced. Bio: Hany Farag received the B.Sc. (with honors) and the M.Sc. degrees in Electrical Engineering from Assiut University, Assiut, Egypt, in 2004 and 2007, respectively, and the Ph.D degree in Electrical and Computer Engineering from University of Waterloo, in 2013. Currently, he is an Assistant Professor with the Department of Electrical Engineering and Computer Science, Lassonde School of Engineering, York University. His research interests are in the areas of active distribution networks, integration of distributed and renewable energy resources, modeling, analysis, and design of microgrids, and applications of multi-agent technologies in smart grids. Bio: John W. Simpson-Porco is an Assistant Professor of Electrical and Computer Engineering at the University of Waterloo. His research focuses on the control and optimization of multi-agent systems and complex dynamic networks, with an emphasis on modernized electric power grids. John received his B.Sc. degree in Engineering Physics from Queen’s University in 2010, his PhD in Mechanical Engineering from the University of California, Santa Barbara in 2015, and was a visiting scientist at ETH Zurich in Fall 2015. He is a recipient of the Automatica Best Paper Prize and the Center for Control, Dynamical Systems and Computation Outstanding Scholar Fellowship.